This book started out veeeeeery slow for me. So slow that I put it down for a few months. I couldn't get into Gwen as a character and wasn't quite sure if anything exciting was actually going to happen in this book. The synopsis teases a mystery, but there really is no mystery to it. Gwen is young and impressionable. Her husband is considerably older and often treats her as a silly child. Eventually their relationship grows and she matures once she gives birth to their son. But Gwen's secret is that she actually gave birth to twins, only she hides her daughter away. Most of the second part of the book focuses on that and the same scene plays over and over: Gwen's anguish and regret. Gwen seriously underestimates her husband and how he will react. She wastes a lot of time worrying, too. I will have to say that I appreciated Gwen's character and her love for people of all colors. 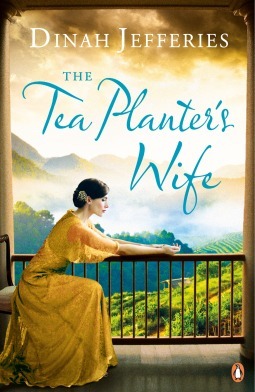 She wants to make everything right with the tea plantation and is very strong-willed. Not a bad story, in the long run.